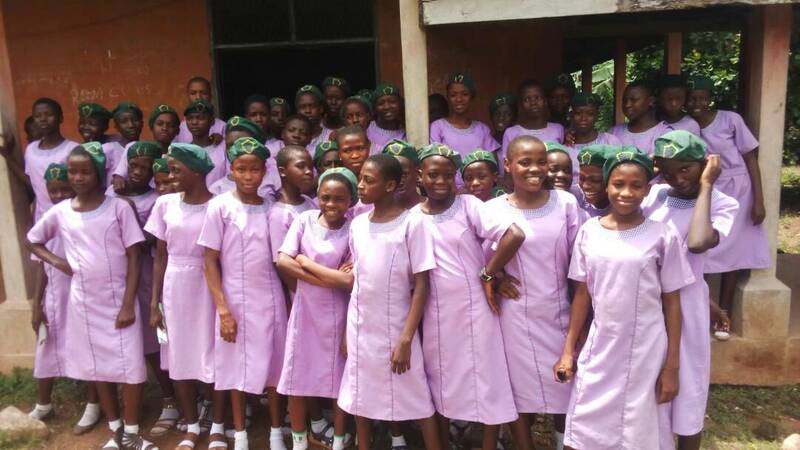 I cannot begin to describe our excitement at the progress being made by participants in our various programs. 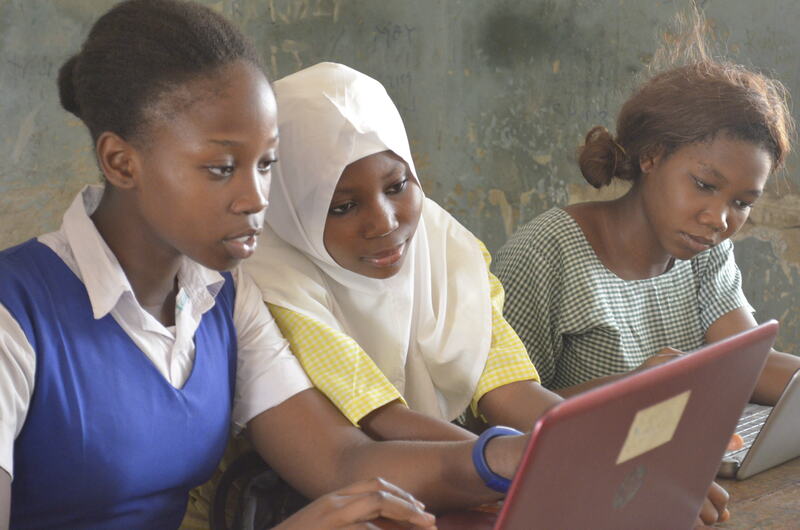 What we do is challenging, particularly when you consider that our students lack personal computers, and also don’t have access to them in school. 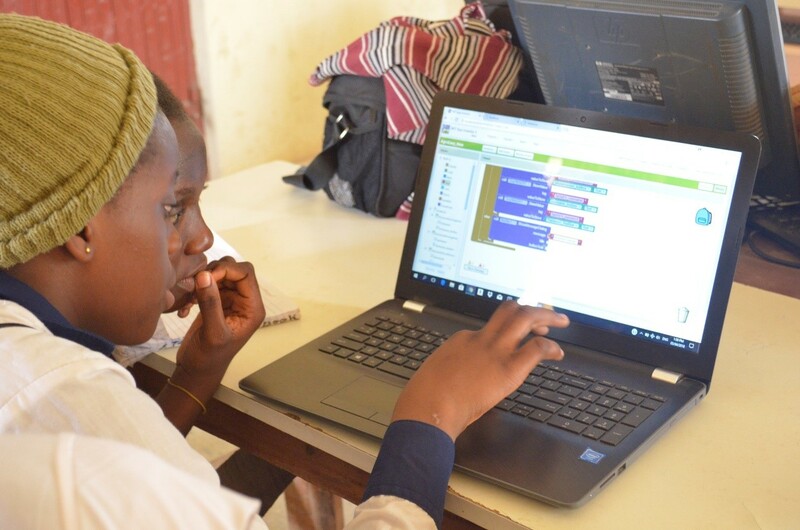 This unfortunately creates additional hurdles as many of them rely on the Visiola Foundation’s laptops to learn and practice. 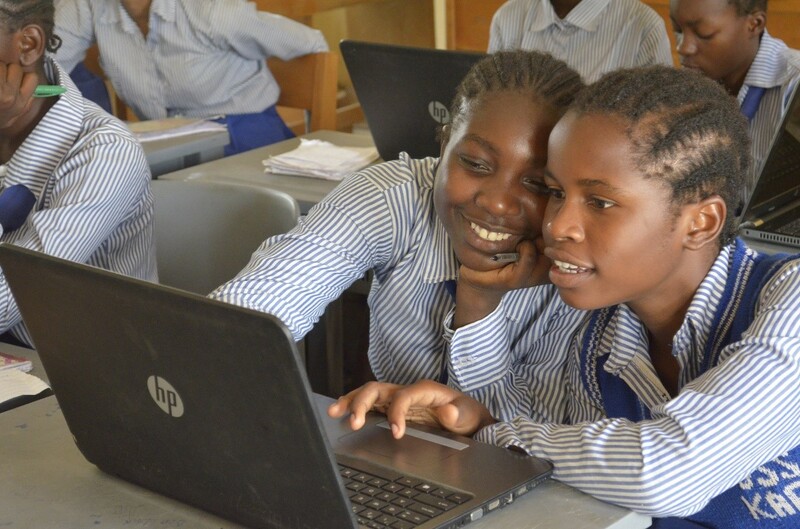 Many of the schools are poorly resourced and even when computers are available, the number of those that actually work is small, and more often than not, there is no electricity. Despite these setbacks, our students make do and try to absorb as much as they can. 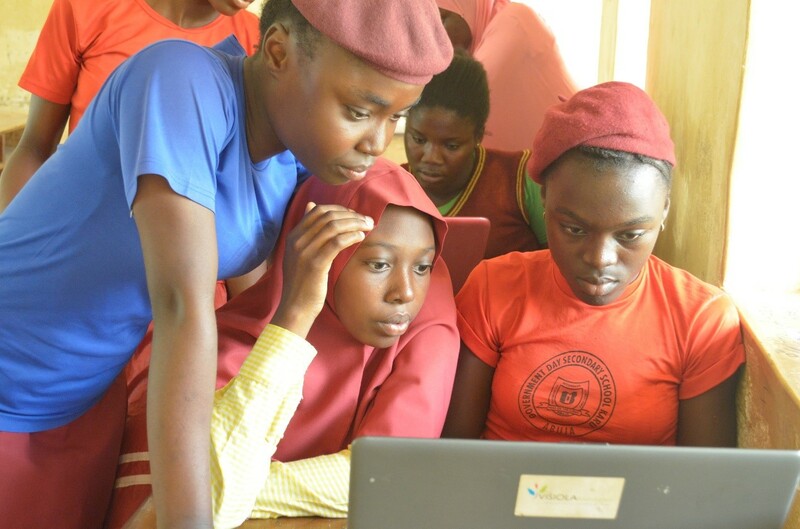 The Foundation is exploring options with some of its partners to gather used laptops to enable the students to practice what they learn during their spare time. The Foundation is further boosting its efforts to build the capacity of the teachers who support students in our programs. By equipping them with the knowledge and skills to teach effectively, we expect to achieve greater impact in the long-term. We have a number of activities planned for the remainder of the year and look forward to sharing updates in subsequent quarters. I would like to conclude by specially recognizing our dedicated staff who work tirelessly to train all the students who participate in our programs. 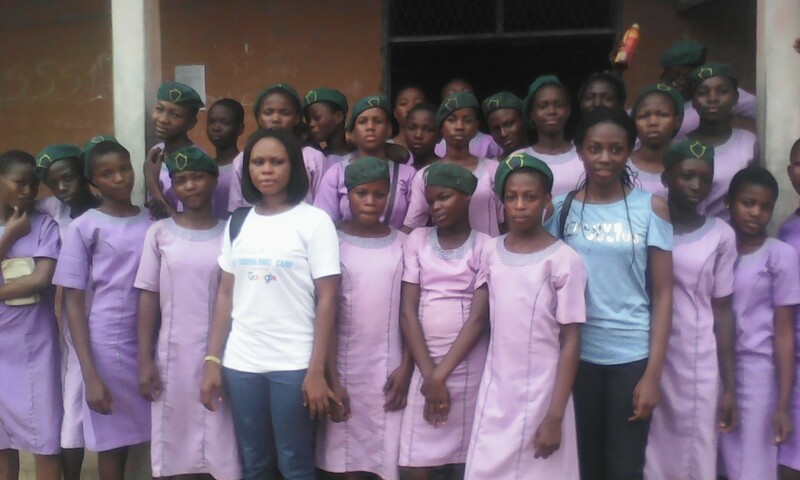 In addition, what we do would not be possible without the commitment of our team of volunteers who make themselves available at short notice to teach and provide logistical support where necessary. Finally, we owe a debt of gratitude to our mentors, partners, sponsors, Board of Trustees, and Global Advisory Council whose personal time and financial support are invaluable. We hope you enjoy reading about our students’ activities during Q1. 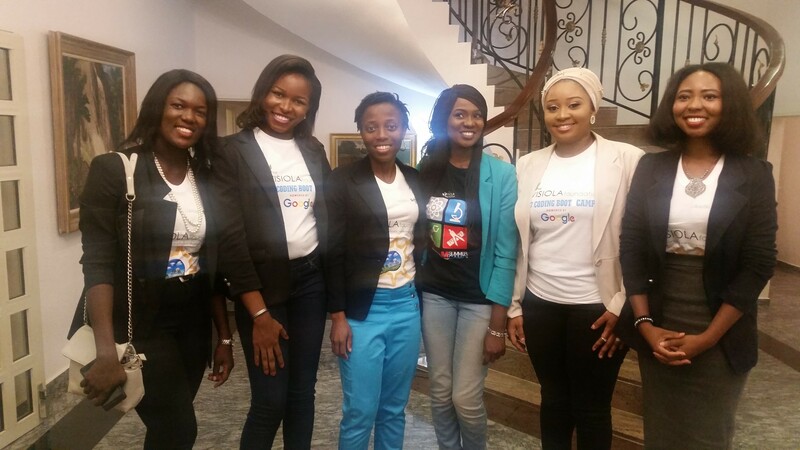 Four graduates of the Visiola Foundation’s 2017 Coding Boot Camp for Girls were accompanied by two of our instructors to a reception on March 22nd hosted by the US Ambassador to Nigeria at his residence in Abuja. 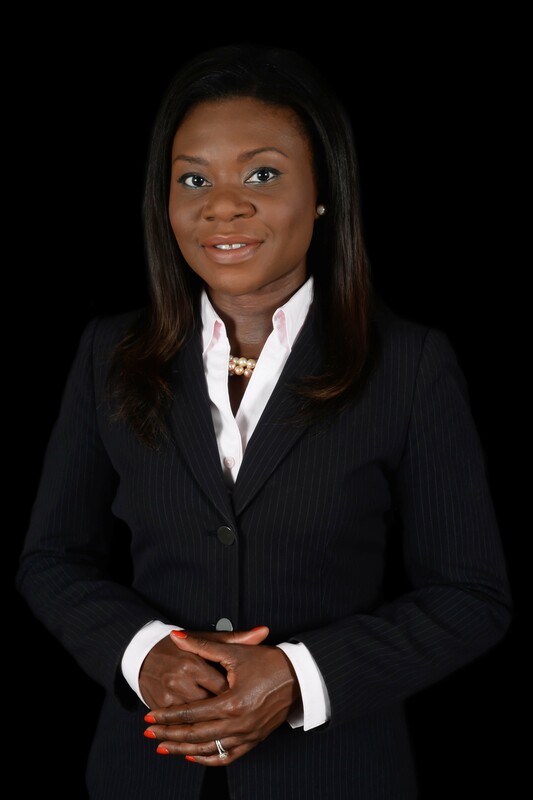 Chinwe, Elizabeth, Ebi, Farida, Rejoice, and Uzoamaka had the pleasure of networking with accomplished female STEM professionals from America and Nigeria. 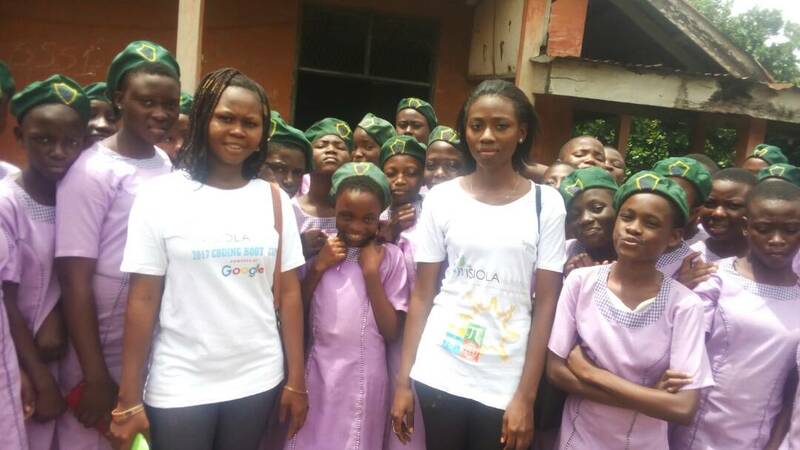 Divine and Mary, 2016 Visiola Foundation Scholars at Lead City University shared updates about their community project in Ibadan. They are pursuing degrees in Computer Science and are passionate about exposing undeserved students to computers. 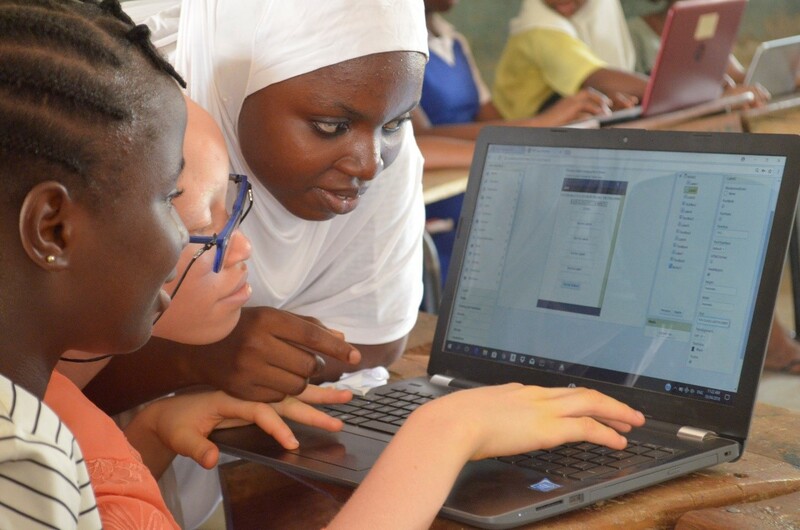 “A large number of students in our community cannot operate computers. This is quite alarming because we live in a technological age where computer is critical for long-term success. 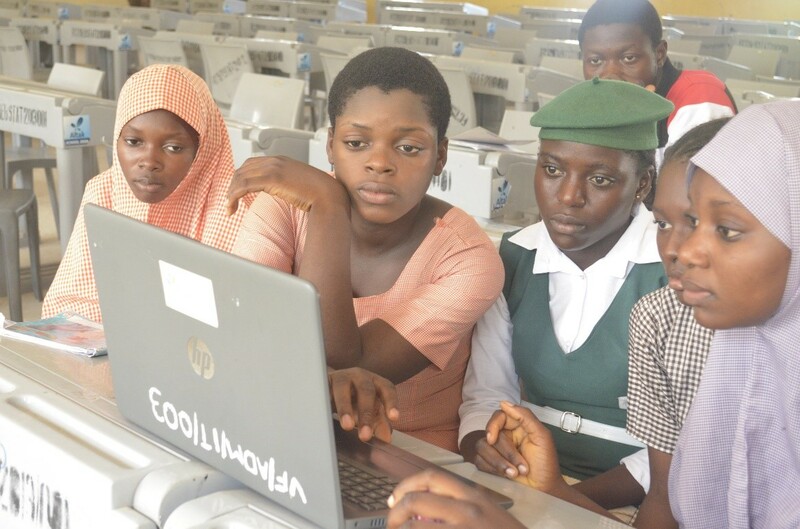 Moreover, these students will be required to sit for the JAMB examination (a computer based test) before gaining admission into higher institutions in Nigeria. Yet, the majority of students in the public educational system in the country lack computer training. 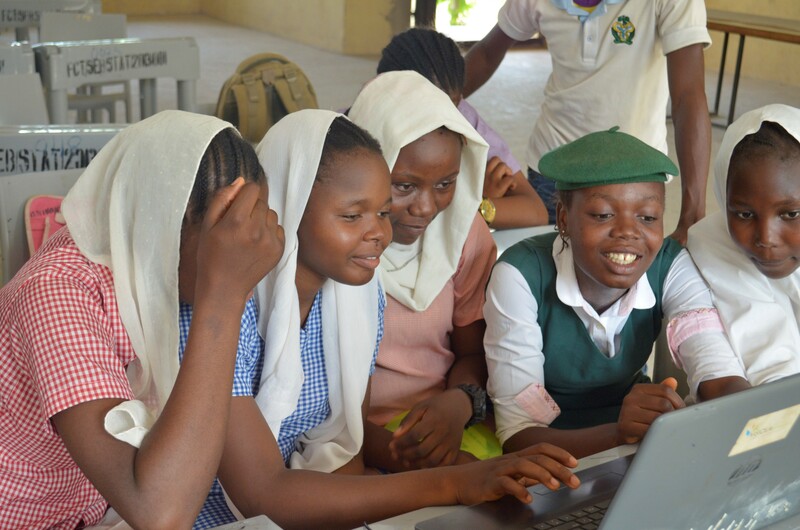 The Visiola Foundation’s After School STEM Club for Girls (ASCG) focuses on enabling girls to transition from consumers of technology to creators. 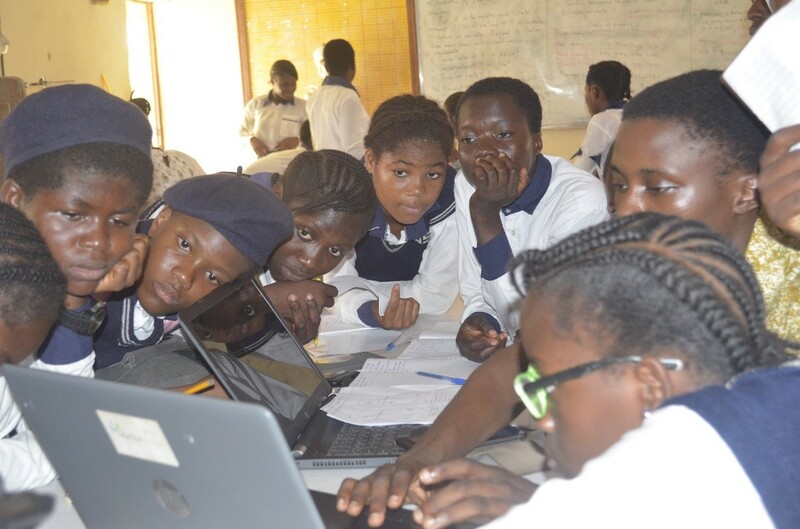 During the first term, girls were exposed to programming and mobile app development. 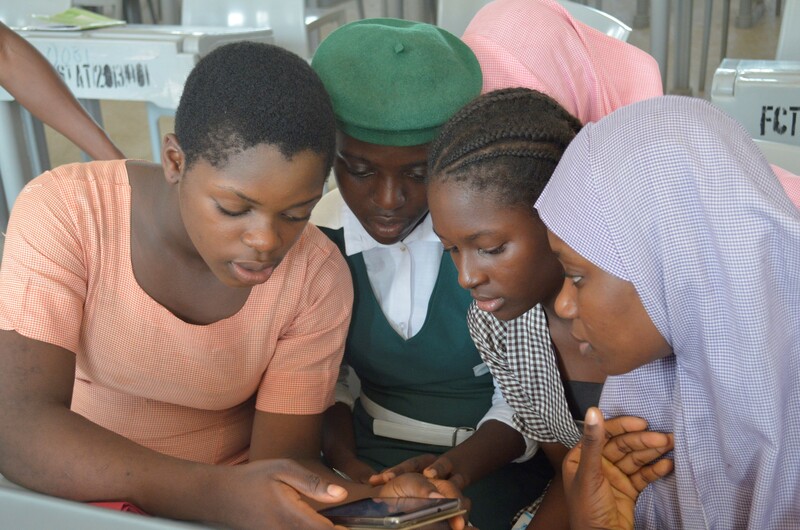 They learnt how to build basic mobile apps and were tasked to develop mobile technology solutions to problems they identified in their communities. 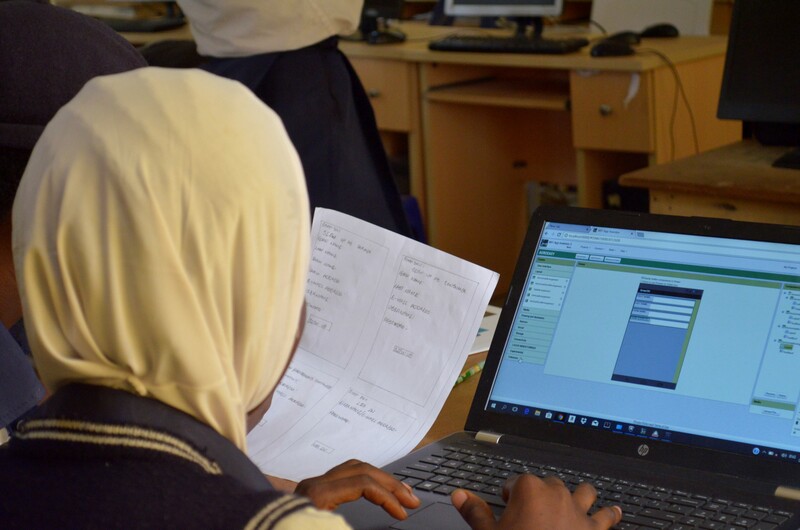 The students developed solutions ranging from tech-based healthcare delivery, agriculture, improved sanitation and better educational outcomes. 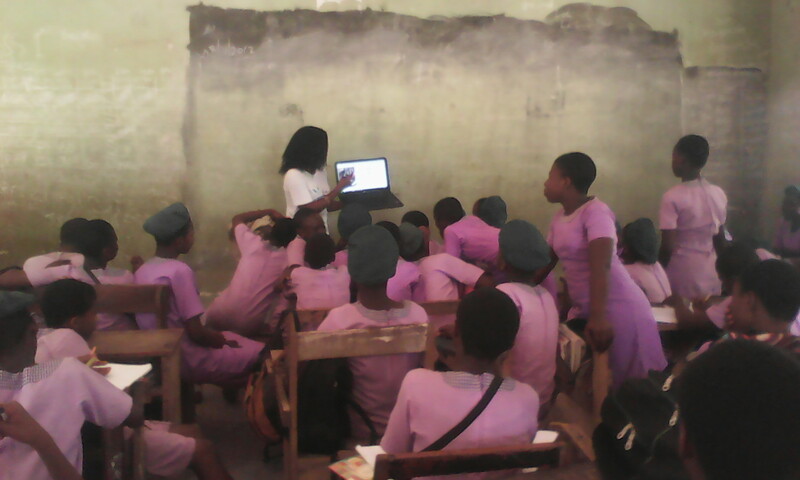 Although they lack personal computers and mobile phones, they worked hard and were very eager to learn. They have also strengthened their interpersonal skills, can work better in teams, and are learning to speak confidently before audiences.